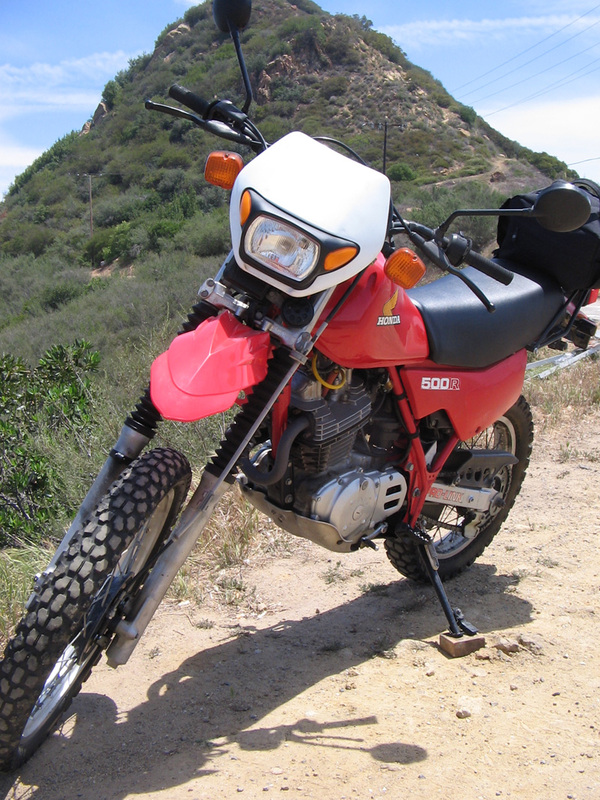 Here are some good pictures of all angles of the 1982 Honda XL500R Enduro Motorcycle at the top of Stunt Road in the Santa Monica Mountains. 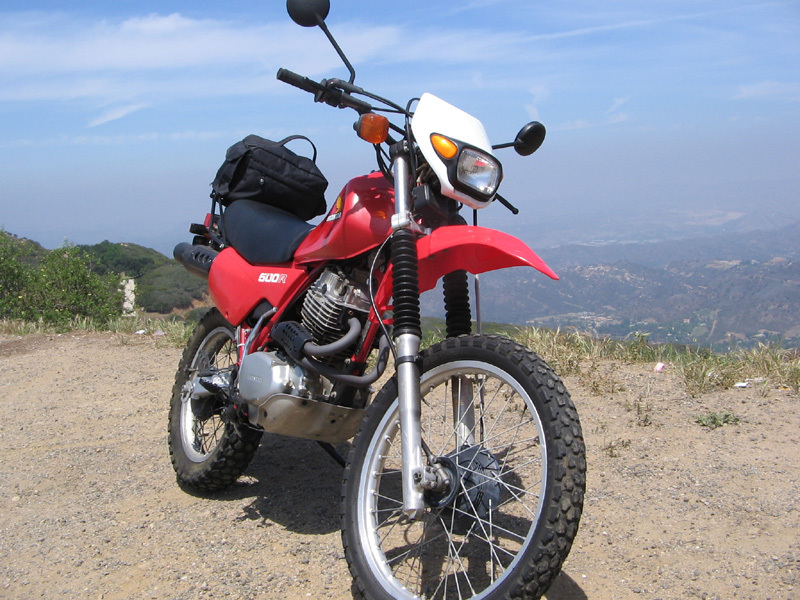 It's a nice old motorbike and lots of fun to ride in the mountains. 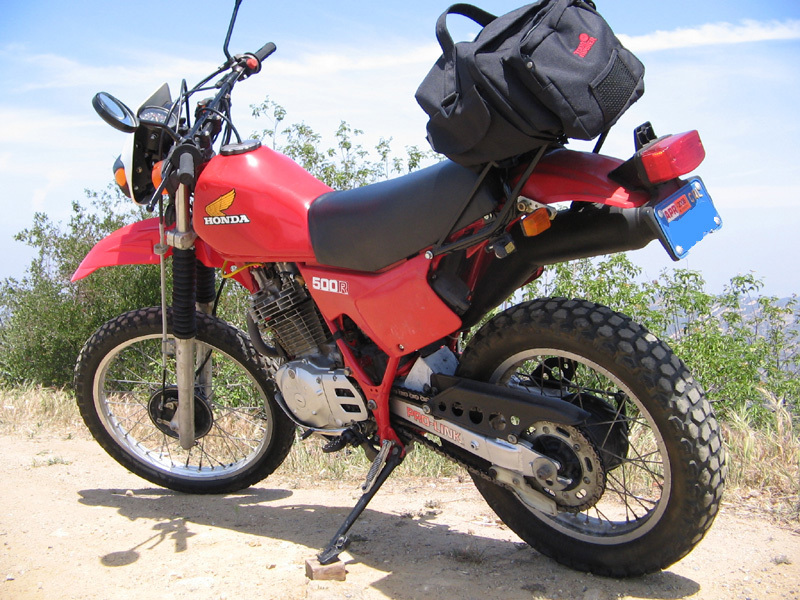 Custom bits are: Honda luggage rack, UFO Headlight, Acerbis motoard front fender, Wiseco 10.5:1 Piston, Tour Master tail bag. 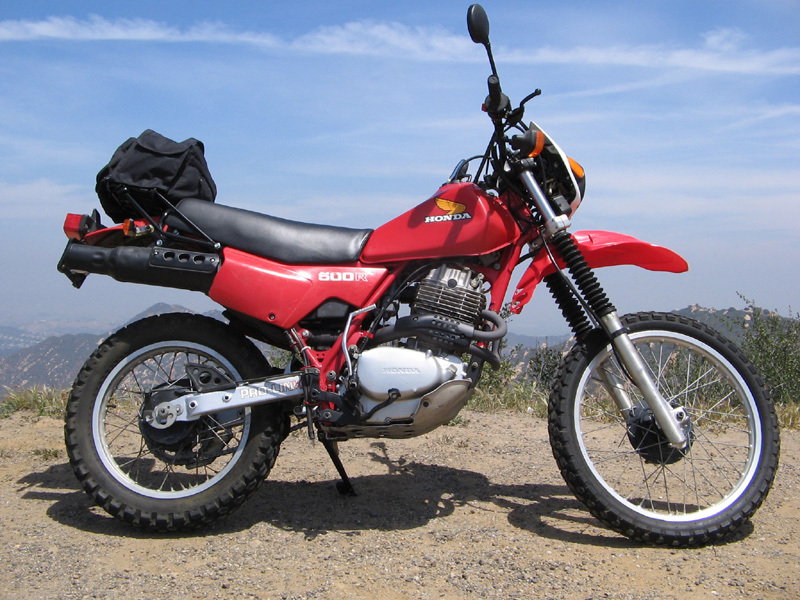 This Honda XL500R motorcycle is as fun as it looks. 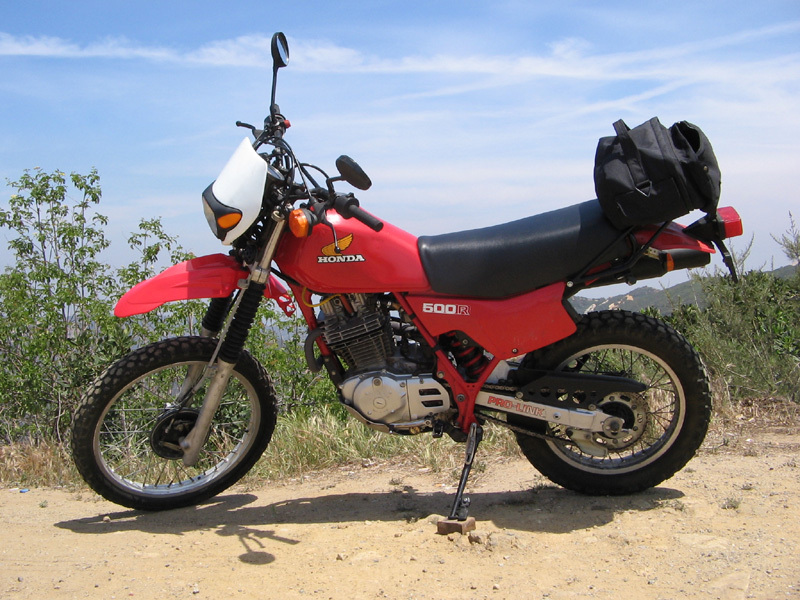 Click the Honda XL500R link above to learn more about the bike and see video of it.